Breathe Inside is a new methodology of teaching; a new way of learning. A workshop must dismantle you, and then reform you back to who you really are, as an essence within the form you are. Have you ever taken some time out to think of life as a child? How it seemed all attention was towards you. Even when not in a state to perceive anything around you, every need of yours was taken care of. You were only a witness to all that was happening to you, effortlessly. While as an adult there seems to be so much of an effort involved in everything. Where have we lost this state of witnessing, why have we fallen prey to participation? What is it that made it so easy as a child? Is the child somehow adept with the law of attraction? If yes which is that factor that worked towards us and we were so playful? Well, it is one's breath. Every breath is a certain frequency. Every breath is a communication between us and the existence and as such, the communication must be clear. Just like one should know the rules of a game, one should also know the grammar in such communication. The child’s breath is clear off threads like memory, emotions, wants, queries, expectations, and compulsions. While as an adult we have these threads on. It’s quite a fall in partnering with life, traveling away from a state of auto reception as a child to a state of manual effort. A state away from one’s conscience of oneness to a state of need for survival once again. Can we regain that breath back? Can we breathe like a child again? Can we get back the state of auto reception with life? Can we release any frequency in our breath at will? Can we manifest balance the relationship between life and living? This is what Breath Inside is all about. It is an intention to reach out to all to get back that flawless relating with life, wherein everything is effortless and as a witness; the state of being empty so that life gets an opportunity to write its story through us. Wherein all the work we do for enhancing a very scientific and meaningful life is just responding to life appropriately; wherein we find oneness with everything and everyone around. There has been a massive human interest and inclination towards matter subtle especially in the last decade. A spiritual inclination could well be a person's deep cry to connect back to his real self, his real nature of peace, playful growth and his basic need to remain connected with the source. In a world that seems to be separated as spiritual and material, and still taking the cue to living from old ancient texts, the quest to know more about life and the self; in a world now that seems to be propagating various ideas of the source and well being; “Breath Inside” comes in as a “thought” to help all who come into its aura, to reconnect with life and cognize life in each breath; to re-establish tangible communication with life. 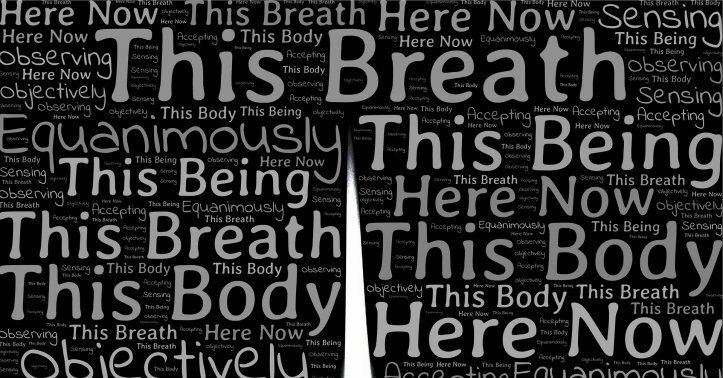 Yes, Breath Inside is all about the breath. It’s a new genre for conducting a workshop. It’s in the form of a book. This is a workshop that will happen right there in one’s home, wherein one will become one’s own trainer. The uniqueness of this workshop would be that the trainer/ author would be available for every query via call/ mail/audio/video/a skype session. How do we say that? Of course, we have seen an image of what we seek. We cannot seek anything without having an image of it within. If you have seen an image, that means there is a permutation and combination of consciousness in the consciousness, which can form it. It exists. It exists in a certain frequency. When we match that frequency we and that become one and hence that becomes our life experience. How do we match the frequency? What is the factor in us that is our frequency? Well, it’s the breath. An individual's search for a tool for manifesting is definitely very intense during these times. He is searching everywhere while missing it all right under his nose. Breath Inside is an e-workbook. That means it’s a workshop designed to be self-learnt through the e-workbook. The workbook has been drafted or documented as if the trainer is talking to you. Wouldn’t you like to learn the finer nuances of breath? To would be so interesting to know the reason why all our thoughts do not manifest; the role that the nature of elements is laying in our present breath. Breath inside is not only for people who wish to sense life in its glory, it is also for all the people who may wish to enhance their own practices by getting breath inside their work. Breath Inside should help people define every aspect of life with much ease. It will inject into the psyche the ways of life, its laws, and its working through us. The Index of breath inside is only the trailer to what should awaken in you. Partha says, the real workshop will be the queries that will awaken in you, Breath Inside is just a trigger to that. Breath Inside is a “desire” to become a witness in the wonder of life, rather be a mundane participant. Breath Inside is an “Assurance” that which you seek exists, in a frequency that your breath can match and manifest as life experience. Breath Inside is a “hope” that there is no other; we are each other. Breath Inside is finding “Health” in the very breath. Breath Inside is a “knowing” that we have a restart button and begin an infinite number of times from right there where we are. Breath Inside is a “discovery” that which seems to have lost ground can be grounded. Breath Inside is the “power” to remain unfazed by all drama, illusion, and delusions. Breath Inside is the “Ability” to reduce the intensity of anything that is not you at will. Breath Inside is “Finding” a way back to one's conscience, to one's childlike innocence. A new genre … “Become your own Trainer”. Begin at will, learn at will. Learn at your own pace, the subtle nuances of life in the breath. The approach of the Author in “Breath Inside” is simplified and kept in mind the vulnerabilities of the modern man to give up. Breath Inside is a “promise”, that you will never lose the way. helped Partha find a way to reach out rationally and in a very simplified manner the very perception of the consciousness and our life in awareness of it. Partha has been researching, meditating and documenting insights on "Breath", to reach out to all that each breath is a communication with life and as such all we need to know is to find our grammar right. Partha says "That which you seek exists; it exists in a certain frequency and one can find that frequency in one's breath and experience it in life" is a profound knowing, which is a simple insight away. Pioneering workshops through books makes learning available right there at home encouraging the idea of you becoming your own trainer, "Breath Inside" too is one such effort.